a base for technical excellence, extensive connectivity to the world’s fibre networks and is a substantial hub for satellite connectivity. The facility was built by Deutsche Telekom in 1987 to the highest military specifications and is one of the largest of its type in Europe. The 3000 sq m buildings house one of the technical hubs of the Onlime Group and is surrounded by 110,000 sq m of land. When the facility was constructed it coincided with the build out of the German national fibre optic network and as a result it sits on the main north-south and east-west fibre optic backbone for the country. 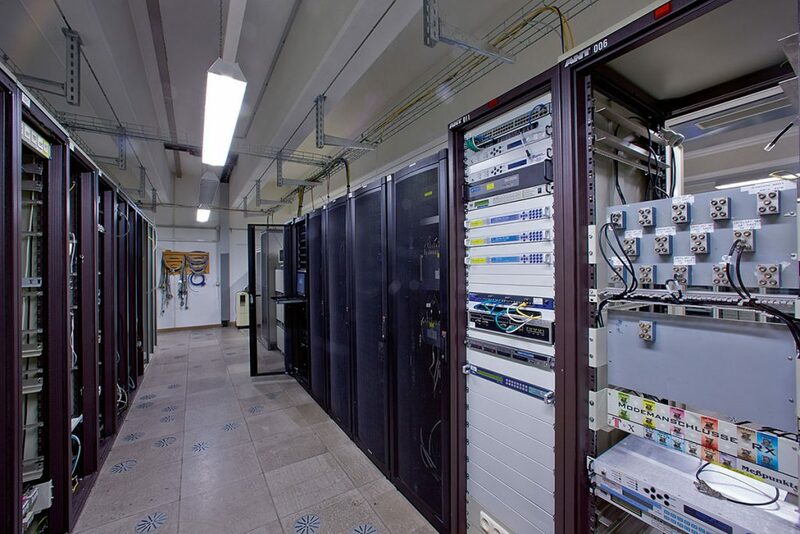 Since 2008, further redundant dedicated fibre links have been added to the Teleport including to London Telehouse East and to colocation and data centres in London, Frankfurt and Amsterdam. At the Onlime POP in London Telehouse East there are dedicated fibre connections to Tier 1 Internet providers and to the ACE submarine cable, running down the west of Africa, and to other POPs in London. Access to such extensive fibre networks enables the delivery of high quality MPLS services and managed DSL/Internet networks globally. 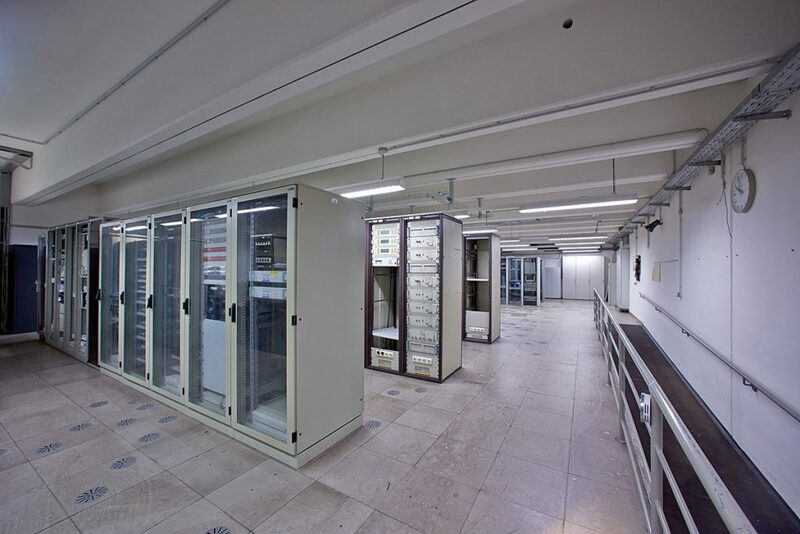 The facility houses extensive air-conditioned, raised floor, data equipment rooms with fully redundant external electrical supplies as well as a 1 Megawatt hot standby diesel generator. There are also extensive backup battery reserves. The building is fully alarmed with video surveillance, secured with electronic key systems and monitored 24/7. There are additional secure storage rooms within the building and outside parking for 80 cars. 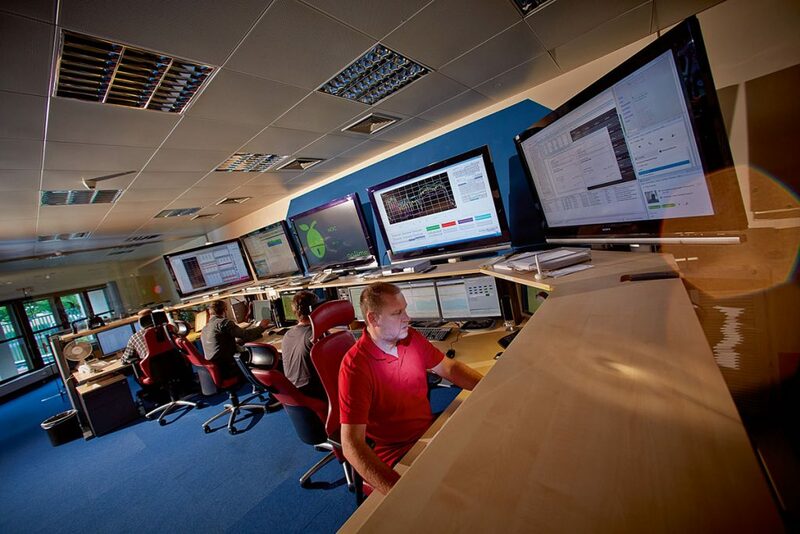 Dedicated or Cloud hosting is available for customers within the Data centre for mission critical applications which is delivered under strict SLAs backed by our 24/7 NOC. Onlime provides hosting of customer owned equipment for telecommunications and data requirements. The TechnoPark is home to more than 50 satellite antennas from 15 m diameter downwards and since 2009 has under gone a major program of upgrade and refurbishment in every area of operation. The facility is now state-of-the-art and capable of delivering quality services across the globe with line of sight to over 200 satellites between 76.5°E and 55°W, covering almost entirely the earth’s landmass. The antennas are C-band (linear and circular) and Ku-band for data or broadcast and many are fully equipped with uplink transmitters, tracking, de-icing and fibre connectivity and can be leased on short or long term contracts. Onlime also hosts customer owned antennas which currently include 11m TT&C and 9m gateway antennas for an international satellite operator and provides full service back up for its operation over the 15 year life of the satellite from 2012. 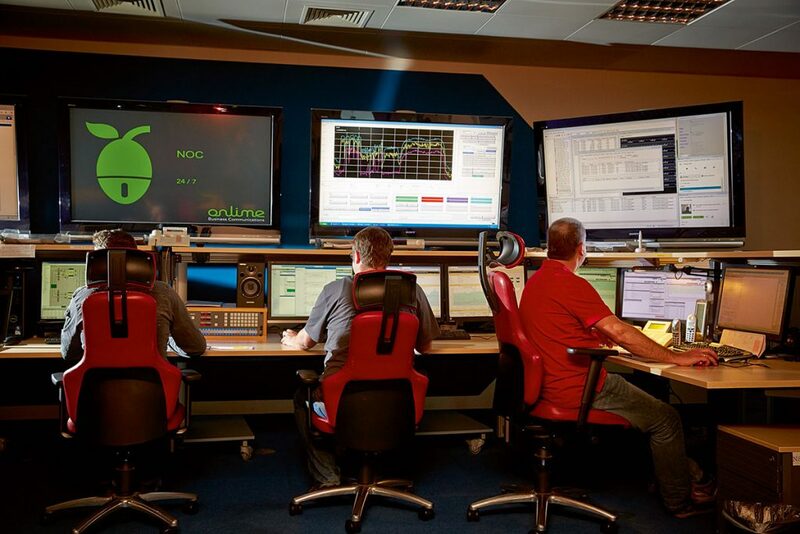 Onlime is responsible for managing and monitoring every aspect of the facility operations, and plays a vital and proactive role in making sure that our customers receive the highest level of technical support. We monitor our customer’s services around the clock and communicate promptly to resolve any issues. As an independent Teleport Operator we are keen to develop partnerships with other earth stations around the world to provide redundancy to our customers and the facilities at our TechnoPark are well suited to provide partners with reciprocal quality services.